Boulder placed April 19, 1920. Erected 1920 by Sequoia Chapter Daughters of the American Revolution. Location. 37° 46.261′ N, 122° 28.432′ W. Marker is in San Francisco, California, in San Francisco City and County. 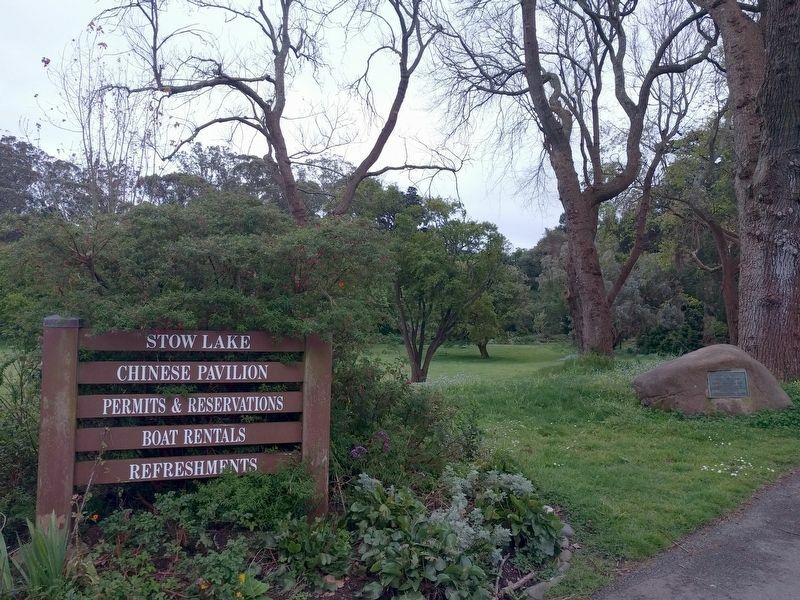 Marker is at the intersection of Stow Lake Drive and John F. Kennedy Drive, on the right when traveling east on Stow Lake Drive. Touch for map. Marker is in Golden Gate Park, east of the Pioneer Log Cabin. Marker is in this post office area: San Francisco CA 94118, United States of America. Touch for directions. (approx. 0.3 miles away); The California Midwinter International Exposition (approx. 0.3 miles away); The Music Concourse (approx. 0.3 miles away); The California Academy of Sciences (approx. 0.4 miles away); The de Young Museum in Golden Gate Park (approx. 0.4 miles away). Touch for a list and map of all markers in San Francisco. More. 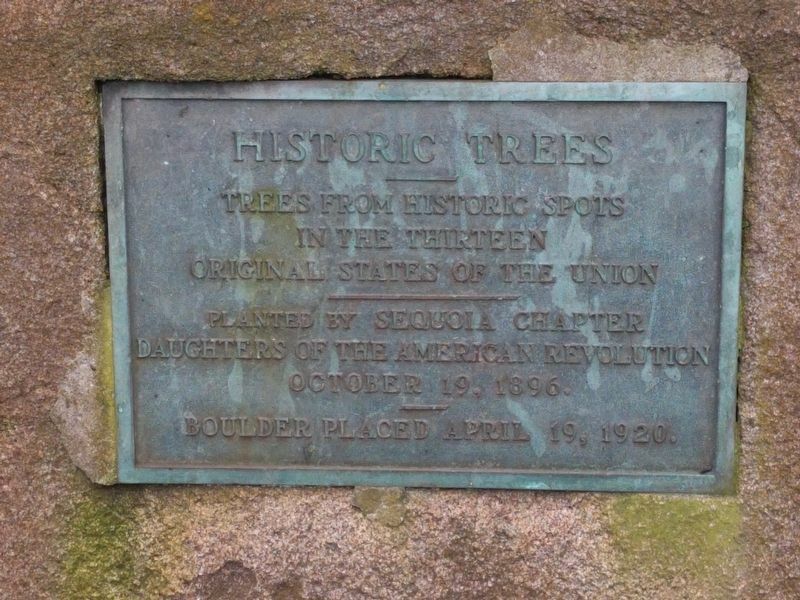 Search the internet for Historic Trees. Credits. This page was last revised on April 13, 2019. This page originally submitted on April 13, 2019, by Joel Seewald of Madison Heights, Michigan. This page has been viewed 67 times since then. Photos: 1, 2. submitted on April 13, 2019, by Joel Seewald of Madison Heights, Michigan.